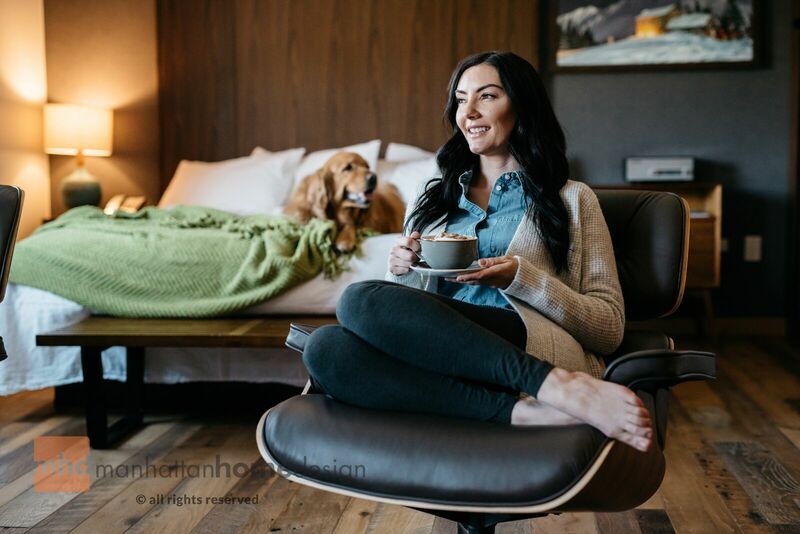 An Eames Lounge Chair replica featured on the new, responsive, and fast-loading https://www.manhattanhomedesign.com website. (PRLEAP.COM) (June 13, 2018 - New York, NY) Leading online retailer of high-quality Mid-Century Modern (MCM) replica furniture, Manhattan Home Design announces the launch of its new, faster responsive website, https://www.ManhattanHomeDesign.com, since its migration to the robust & secure BigCommerce online platform. The new site provides customers with a vastly improved user experience via lightning-fast page load speeds, as well as responsiveness on tablets and mobile devices. Now customers can easily and quickly order high-quality and affordable Eames Lounge Chair replicas from any device, as well as replica Arco lamps, MCM tufted sofas, and much more from the newly migrated Manhattan Home Design website. "We are so excited and proud to provide our loyal customers with a faster and mobile responsive website to shop when and how it's most convenient for them," explained Manhattan Home Design CEO and Founder Daniel Levy, who was also recently featured on the front page of El Diario, the nation's oldest and largest Spanish language newspaper, as a successful Spanish-speaking minority business owner. Manhattan Home Design also appears on the Inc. 5000 list of fastest growing privately owned businesses in the USA. Manhattan Home Design reviews and features for sale only the highest quality replicas of timeless Mid-Century Modern furnishings and home decor such as the Eames Lounge Chair replica, Eames Office Management Chair replica, Noguchi Coffee Table, among countless others. In celebration of the website's new launch, Manhattan Home Design will be featuring a classic home decor piece on its website known as the Eames Bird replica (valued at $199 each) as a free gift for all new online orders of $499+ for 1 month. "It's a special thank you to our valued customers who've helped make this growth and improvement of the business possible," said Levy about this limited-time offer, which is available when using coupon code EBIRD18 at checkout. For more information to purchase furniture or to visit their NYC showroom, call 1-800-917-0297. The thought of making affordable furniture available to consumers was the driving force that led to the inception of Manhattan Home Design in 2008. Boasting a young and vivacious team, Manhattan Home Design is a furniture store in New York City with an online presence. Offering the best of Mid Century Modern furniture replicas, Manhattan Home Design offers affordability while soaring the heights of design. Also featured on Houzz.com, Manhattan Home Design yearns to provide clients with popular modern styles from the most renowned designers.